As an Android user, there aren't many elements of my friend's iPhone that I find myself envious of, because anything he can do on iOS, I can surely find a way to do on Android...often better. That being said, I have to admit that one feature I do like is the minimal style and layout of iOS 8's status bar. With the time centered and the Wi-Fi icon and signal bars aligned to the left, the iOS status bar appears better organized with less clutter, which is exactly what I want. As stated, you can (almost) always find a way to do anything iOS can do on Android, so today I'll be showing you how to make your Android status bar look and feel like an iPhone's. Ensure that your Android device is both rooted and running the Xposed Framework. Also, let me state that this process will unfortunately not work on Android 5.0 Lollipop. Bummer, I know. 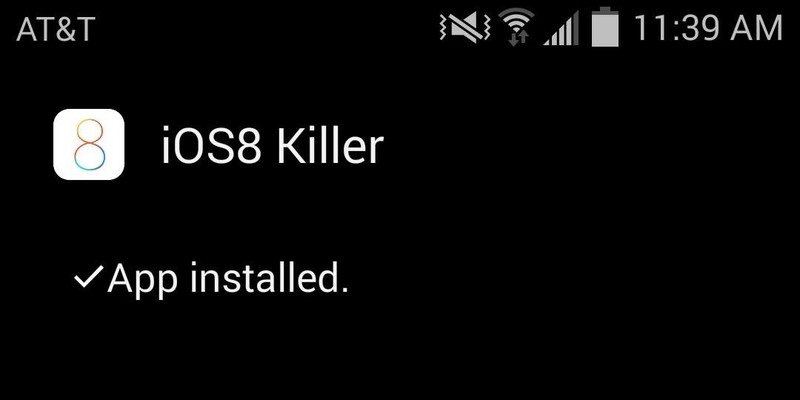 Download and install iOS 8 Killer from developer Ahmed Aljazwi. This app is not on the Google Play Store, so before installing, make sure you have Unknown sources enabled in your settings, if not already done. Once you have successfully installed the app, be sure to properly activate the module through Xposed Installer. Enter the settings for iOS 8 Killer to adjust your status bar's layout. 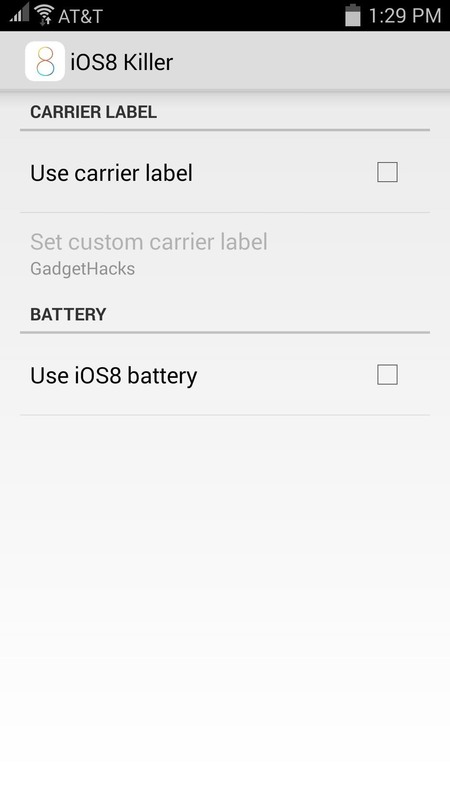 Along with shifting the alignment of certain icons, the app can also change your battery icon and give you the option to use a custom carrier label, but this only works well if your carrier doesn't automatically stick one there (thanks for nothing AT&T). This process wouldn't be complete without centering the clock like iOS 8 has. While we may have to wait for an update for iOS 8 Killer to include this feature, you can still easily achieve this using XBlast Tools. Just launch Xblast Tools and navigate to Status Bar -> Clock Settings -> Center clock. 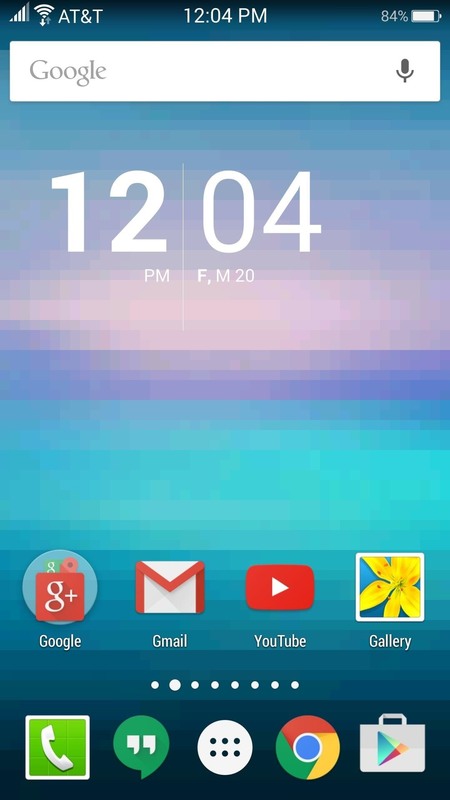 After a quick reboot, your status bar will be looking very similar to an iPhone's. 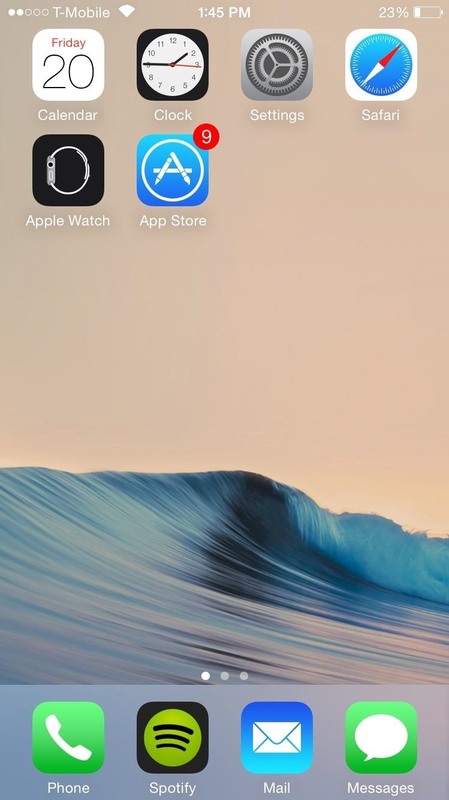 (1) Status bar on iOS 8. (2) Android status bar with iOS 8 Killer. It may not be an exact match, but it's definitely a close match. The dev is working on updates so you should definitely check back to his thread to keep up with development. For anything else, shoot us a comment below, and make sure to keep up with future Gadget Hacks news and guides over on Facebook, Google+, and Twitter.